We explore two “fantasy” castles in North Wales. The Castle as seen today is a creation of Sir John Hay Williams dating from between 1830 and 1852. Architects Hansom and Welch were employed by Sir John to refurbish and extend the existing house while further works at this time also resulted in a magnificent estate wall and formal garden. 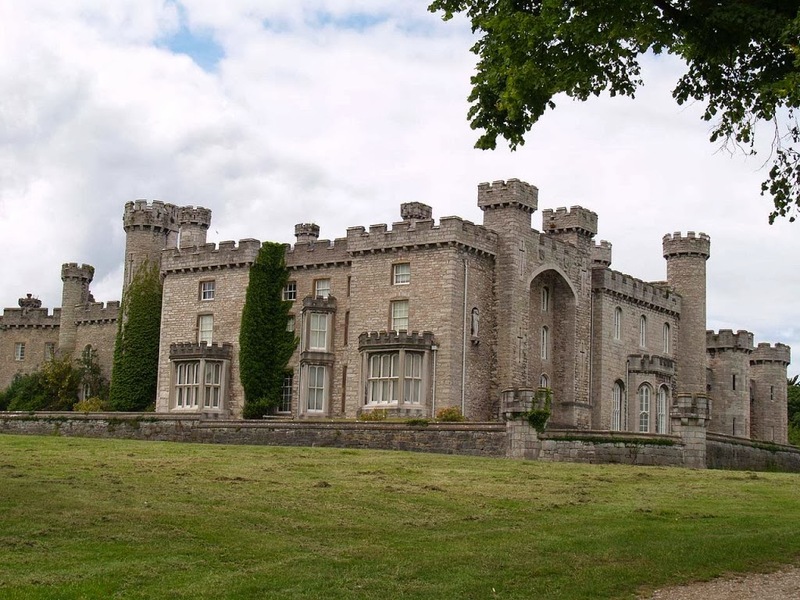 Bodelwyddan Castle is set in 260 acres of magnificent parkland, and is a partner of the National Portrait Gallery. The castle houses many wonderful portraits from the 19th Century collections of the London-based national museum, plus collections of furniture from the Victoria & Albert Museum, and sculpture from the Royal Academy of Arts. We visit Colwyn Bay for lunch, before moving on to Penrhyn Castle. Penrhyn Castle (NT) is an enormous 19th-century neo-Norman castle sitting between Snowdonia and the Menai Strait. 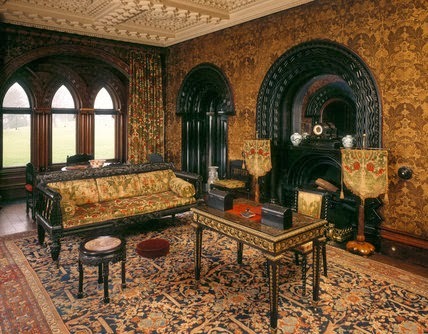 It's crammed with fascinating items, such as a one-ton slate bed made for Queen Victoria, elaborate carvings, plasterwork and mock-Norman furniture. It also has an outstanding collection of paintings. The restored kitchens are a delight and the stable block houses a fascinating industrial railway museum and a model railway museum. The 24.3 hectares (60 acres) of grounds include parkland, an exotic tree and shrub collection as well as a Victorian walled garden. Colwyn Bay Heritage Tour pdf here. National Portrait Gallery at Bodelwyddan Castle here. BBC WW1 at Home - Training Trenches at Bodelwyddan here. Bob Collins: Shooting Stars - Photographs from the 50s/60s here. Watercolours & Drawing: 18th - 21st Century here and catalogue here.